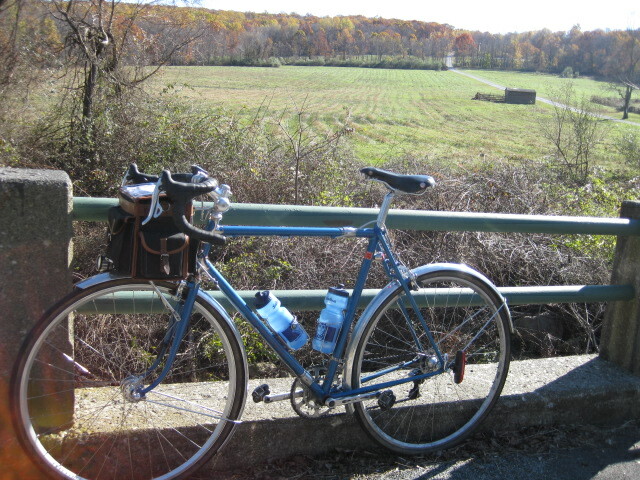 Last weekend I decided to ride a PA Randonneurs 200km brevet, my first substantial bike ride since PBP. I woke up Saturday morning realizing I had a flat tire to fix and to locate my winter riding clothes because at the start of the ride it was below freezing. 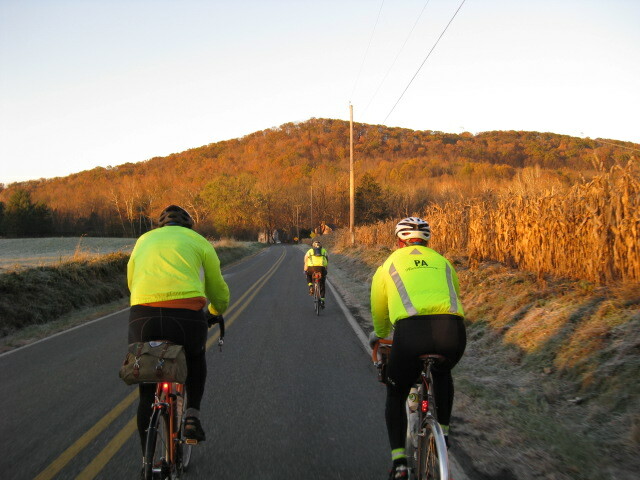 The ride was a beautiful one, with most of the trees still showing color changes. 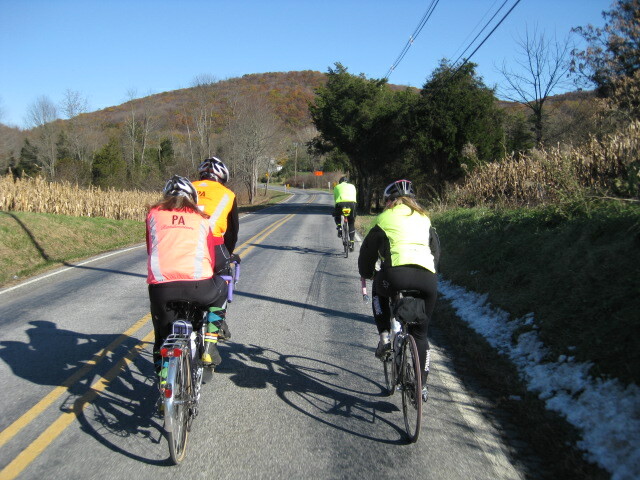 It was a cold ride, my first cold ride since the spring, and snow was seen throughout the route. It was the first time I have ever finished a bike ride last, it was weird. I was the Rouge Lanterne. boo. I guess when I haven’t ridden more than 30 miles since August’s PBP, trying to ride 127 miles of 8000ft is a difficult task. I’ll do better next month. Another way to look at it is I was the last rider to complete it, attendance on brevetes later in the year really drop off when it gets colder out. It was 29 degrees out when we started. Maybe I am just good at justifying my lackluster performance. snow on the side of the road. 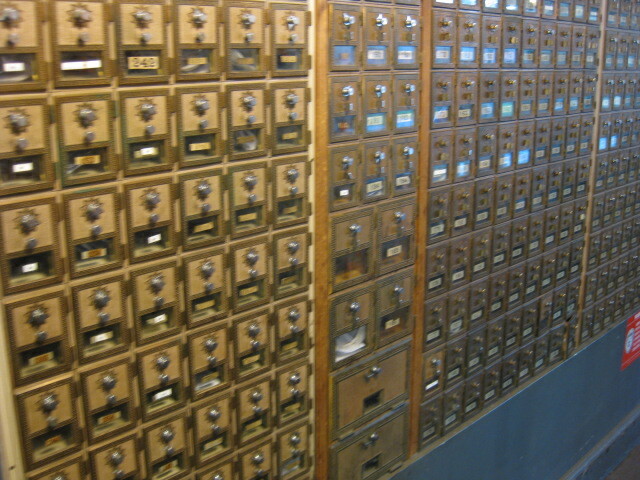 cool post office boxes that was inside the Stillwater General Store at a contolle, in Stillwater, PA.
you finished… you don't have to justify anything. well done. You finished under the time restraints. It was cold. Most of all, you found it enjoyable, right? Was the pizza place an old post office or did they add those boxes? The post office was at the Stillwater General store. I thought it was a pizza place, as that all I smelled and wanted at the time. I couldn't find any history on the store online, but the town had only 194 people living in it in 2000, according to the census. once my hands and feet were able to unthaw with riding, it was a very enjoyable day. I was glad I got out, as with almost every bike ride. The actual mailbox had been in the Stillwater Common shop. We believed it had been the pizzas location, because that We smelled as well as desired at that time. We could not discover any kind of background about the shop on the internet, however the city experienced just 194 individuals residing in this within 2000, based on the census.